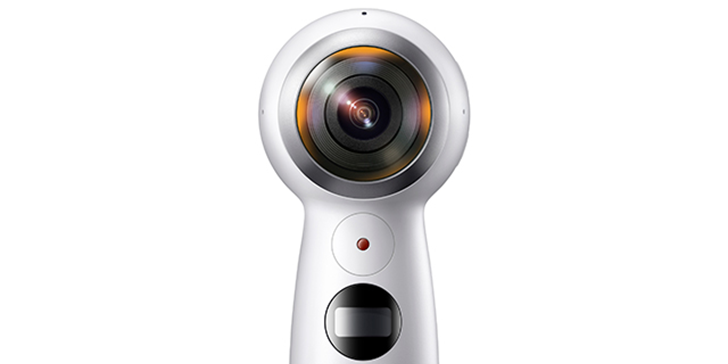 The Samsung Gear 360, released in the United States in August of last year, was the company's first entry into the 360-degree camera market. A new model was unveiled alongside the Galaxy S8, and as we've seen over the past few months, the price of the original version has continued to fall. 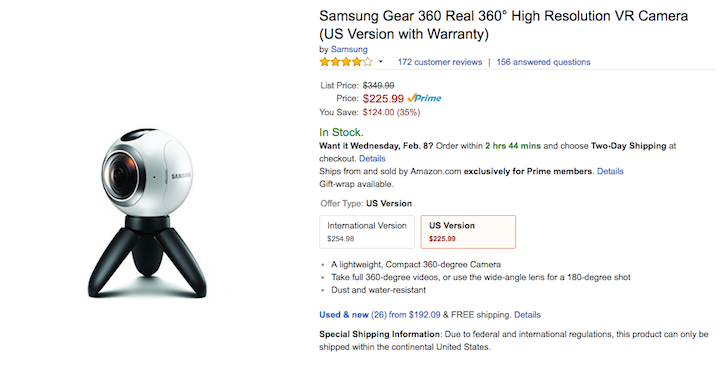 Now the first Gear 360 is just $140 on Amazon, the lowest we've seen it at. Back in March, Samsung revealed the second-generation Gear 360 camera alongside the Galaxy S8. The new design did away with the tripod mount in favor of a non-moving grip handle, and it could record video at a higher resolution than the old model. Now you can get it for $209.46 on Amazon, a drop of $20.53 from the original price. The great thing about 360 cameras is they can capture a moment in time from literally all angles, seeing as they're 360°. 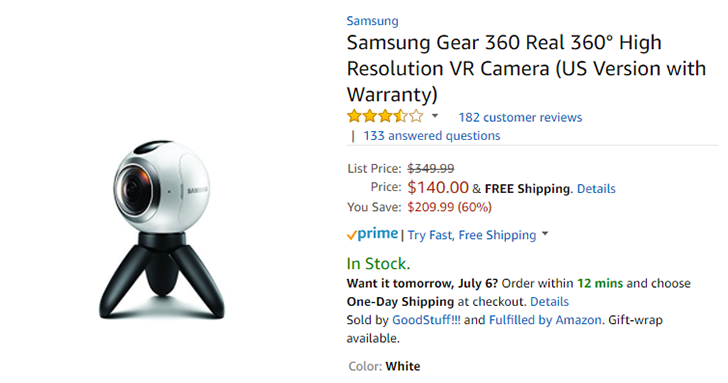 If you like the sound of that, take a look at this: Samsung's dust and water resistant Gear 360 is currently down to $225.99 on Amazon, which equates to $125 off the launch price of $350. This is probably because 360 cameras are seen as a bit niche by most of the population. It is true that not everyone needs one; the simple fact of the matter is that not everybody has to take a photo in 360°. However, everyone should want one, and that's the point here - they're such a cool item to have in your technology inventory.